Secretariat of the Pacific Community (SPC). 2010. A Community-based Approach to Ecosystem Based Fisheries Management; a Guide for Pacific Island Countries. Noumea, New Caledonia. These guidelines are intended to help communities, government agencies and non-governmental organisations in Pacific Island Countries and Territories (PICTs) work together to develop and implement community-owned fisheries management plans for a designated area. Although the guide covers all types of management, community-based fishery management areas are essentially all types of protected areas. Fernandes, L, Green, A., Tanzer, J., White, A., Alino,P.M., Jompa, J., Lokani, P., Soemodinoto,A., Knight, M., Pomeroy, B., Possingham, H., Pressey, B. 2012. Biophysical Principles for Designing Resilient Networks of Marine Protected Areas to Integrate Fisheries Biodiversity and Climate Change Objectives in The Coral Triangle. Report prepared by The Nature Conservancy for the Coral Triangle Support Partnership. This guide provides a set of biophysical principles to help practitioners design networks of marine protected areas to achieve fisheries sustainability, biodiversity conservation and ecosystem resilience in the face of climate change. The document refers to and draws upon much of the latest scientific evidence concerning fisheries and protected area design. The Ecosystem-Based Management (EBM) Tools Network is a premier source of information about planning and management tools in the United States and internationally. Its mission is to promote healthy ecosystems and communities through the use of tools that help incorporate ecosystem-based thinking into management decisions. This report presents the Ecosystem-based Adaptation (EbA) Options Assessment and Masterplan for Honiara prepared as part of the Solomon Islands Ecosystems and Socio-economic Resilience Analysis and Mapping (ESRAM) to assess and prioritise climate change-related ecosystem-based adaptation options for selected locations in Solomon Islands. The report outlines EbA options for Honiara. FAO Technical Guidelines for Fisheries Management. 2011. Fisheries Management, Marine Protected Areas and Fisheries. FAO, UN, Rome, Italy. These guidelines were developed to provide guidance on the use of marine protected areas (MPAs) in the context of fisheries. They look specifically at fisheries features of MPAs, but also address the interface between fisheries management and biodiversity conservation and provide support for MPAs with multiple objectives. Govan, H., A. Schwarz, and D Boso 2011. Towards Integrated Island Management: Lessons from Lau, Malaita, for the implementation of a national approach to resource management in Solomon Islands. WorldFish report to SPREP. Small Island Developing States are pioneering integrated and inclusive approaches to sustainable development through comprehensive ridge-to-reef approaches that address the ‘whole island’ issues of conserving land, water and ocean resources while adapting to climate change, enhancing local capacity and generating economic growth. The document introduces best practices for integrating biodiversity and ecosystem services into agriculture for the Pacific region, including: diversification and integration of farming systems (cropping, agro-forestry and agro-silvipastoral systems); strengthening resilience of production systems and landscapes to the adverse effects of climate change or pest outbreaks; soil biodiversity to enhance soil health, nutrient transformation, soil decontamination, climate regulation; and ecological management to minimise chemical use. It also links ecotourism and agricultural zones to support environmental protection and agro-biodiversity preservation. 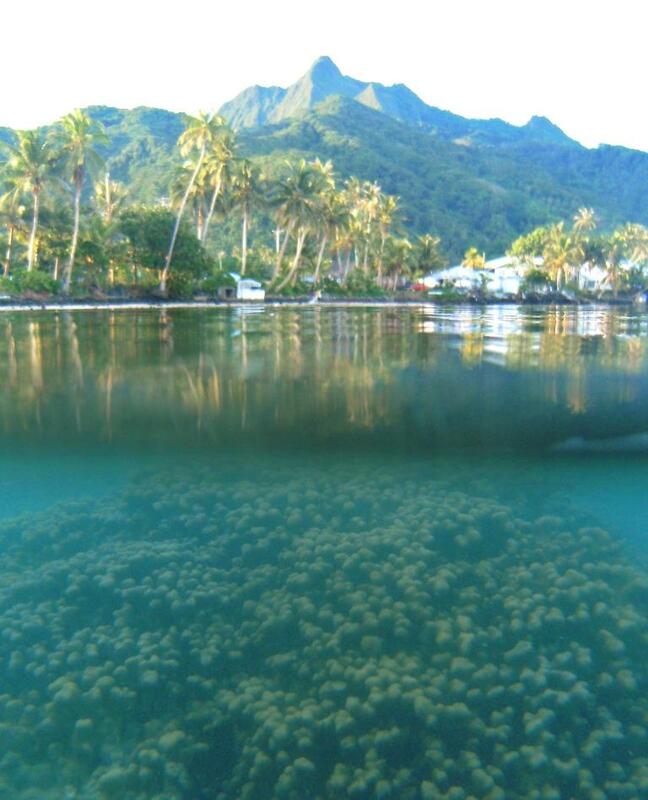 The objective of MACBIO is to improve management of the marine and coastal biodiversity of mountainous volcanic islands (Fiji, Solomon Islands, Vanuatu) and flat islands and atolls (Kiribati, Tonga). Vanuatu signed and ratified the United Nations Convention on Biological Diversity (UNCBD) joining other 190 CBD parties to protect our global biodiversity. Vanuatu’s first National Biodiversity Strategy and Action Plan (NBSAP) was developed and endorsed in November 1999. Revision of this NBSAP has led Vanuatu to develop this new NBSAP (2018-2030). This revised NBSAP indicates the progress, successes and gaps that lie within the organisational, systemic and individual capacities at national, provincial and community levels to protect, conserve and wisely use our biodiversity. The NBSAP (2018-2030) has seven strategic areas with country indicators and targets towards achieving the Global Strategic Programme of 2020 Aichi targets.